Roadburn Records is proud to present another installment in the Live At Roadburn series. The new year begins heavy with Bongripper Live At Roadburn 2012, and later Conan will follow. 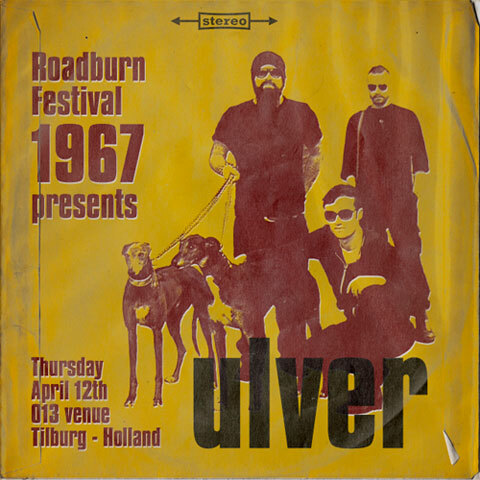 But we can safely say that the biggest title we can announce for 2013 is the set legendary Norwegian band Ulver played at Roadburn 2012. They played a special set of 60′s covers from 13th Floor Elevators, The Beau Brummels, Jefferson Airplane, Troggs among others. The release is planned for an spring release. No date is set yet, but keep checking the Roadburn Records blog at www.roadburnrecords.com for up to minute news. BARN OWL Stream Track 'The Long Shadow' + New European Dates Added To Tour! A STORM OF LIGHT: New York Metal Alchemists Announce Long Anticipated Live Dates!